When you're working with e-textiles, you have a tendency to collect a lot of small parts: LilyPad boards, bobbins, needles, the tools of the trade. Why not pick up a sturdy little box to keep your bits and pieces off the floor? 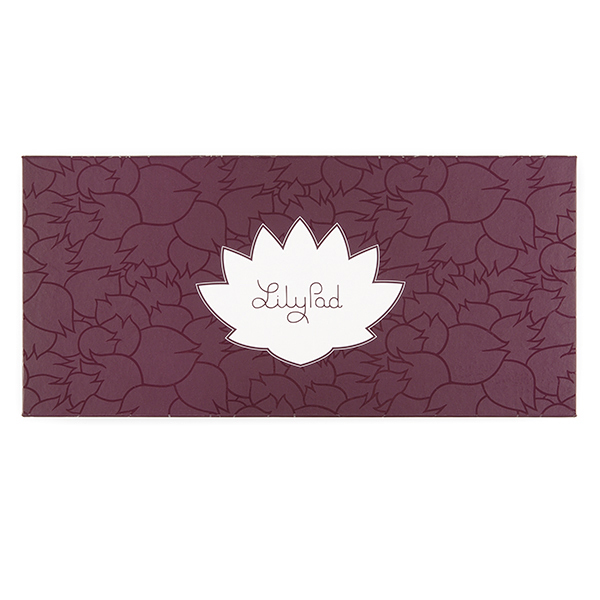 This LilyPad branded box is made from rigid cardboard printed with a fancy tone-on-tone pattern and LilyPad logo. There are even magnetic closures embedded in the lid. 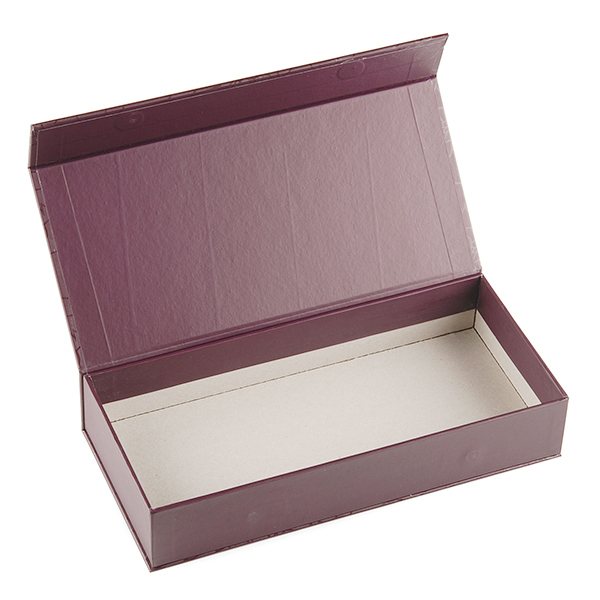 We like this box because it's rigid enough to throw in a sewing bag and it also looks good on a workbench. With an inside dimension of deep, it's big enough for batteries, fabric swatches and whatever small parts you have floating around. 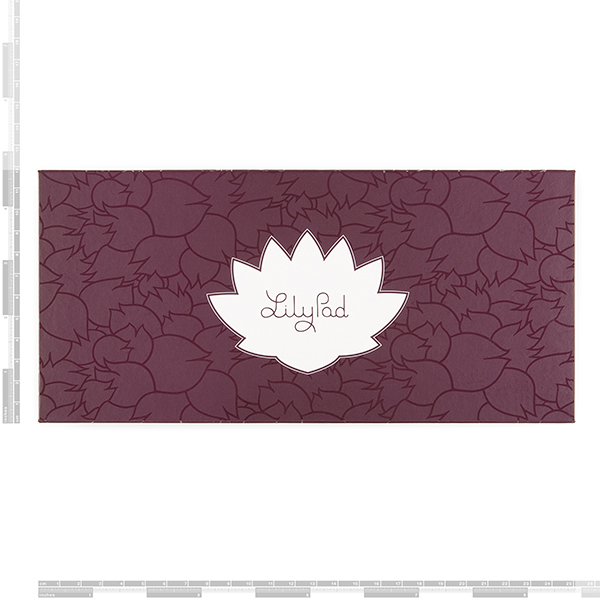 It also makes a great gift box if you're thinking about getting someone the gift of LilyPad! 9" x 4" and 1.5"
I have given these out as presents and my family has found many uses for them. They easily hold sowing supplies, Valentines candy, energized healing stones, and yes, electronic components. this nicely made box looks good and is well made. The magna-latch keeps things in. Definitely recommended; especially for the cultured gift giver.